Since 2005, Nourah has been performing annually with the Turkish band, Babazula. As their main dancer, she has performed over 100 times, in more than ten countries mainly in Europe and surrounding countries. Nourah has also been featured in various oversees media such as newspapers, TV programs and videos. Domestically, she performs over 100 times every year, including the Fuji Rock Festival and the Tokyo Girl’s Collection. After years of being instructor , Nourah founded Ruhani Bellydance Arts in 2013. She is also invited every year to teach at the International Belly Dance Festival in Turkey. Utilizing her extensive experience as a dancer and instructor, Nourah is devoted to teaching dancers both domestically and oversees. A fabulous and magical world will unfold in the extraordinary space of an exotic cruise ship around Tokyo Bay. 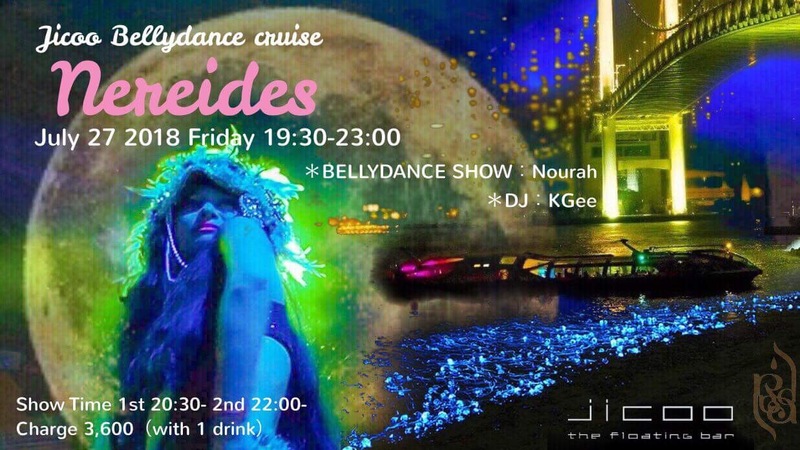 Nourah, a renowned belly dancer both in Japan and overseas, has been producing the Bellydance Cruise Show “Nereides” series for seven years. *The charge includes boat entry ticket, 1 drink and tax. 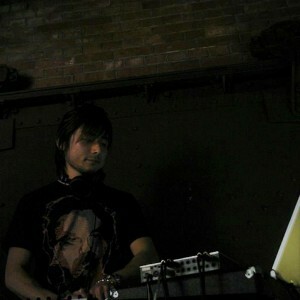 You can also make a reservation by e-mail. We depart the Hinode pier on the hour starting at 20:00 and it takes one hour roundtrip. Passengers may get on and off at either pier. Arrival and departures from Odaiba Seaside Park occur on the half-hour. *Passengers may get on the cruise ship at 19:30 at Hinode Pier. From JR Hamamatsu-Cho Sta. – 10 minute walk out of South Exit. From Daimon Sta. of Oedo of Asakusa Subway Line – 15 minute walk. From Odaiba Kaihin Koen Sta. of Yurikamome – 5 minute walk. From Daiba Sta. of Yurikamome – 5 minute walk. Guests must be 20 years of age or older to enter the boat. There is not parking. Please use the nearest transportation. There is a dress code on the ship, we will not allow men in sandals or shorts to board. We recommend that you check availability of the day by our website (http://www.jicoofloatingbar.com/) before boarding.